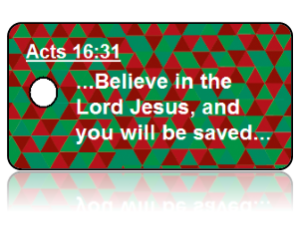 Acts 16:31 (NIV) - Believe in the Lord Jesus, and you will be saved. 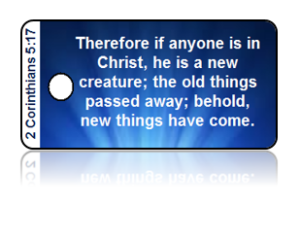 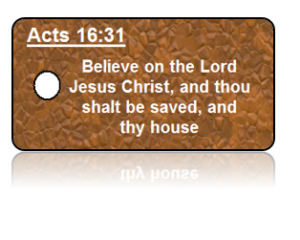 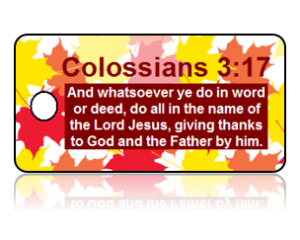 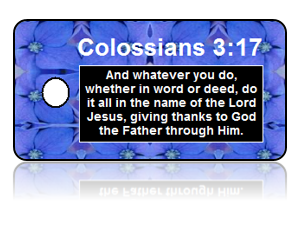 Acts 16:31 (KJV) - Believe on the Lord Jesus Christ, and thou shalt be saved, and thy house. 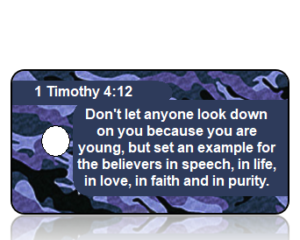 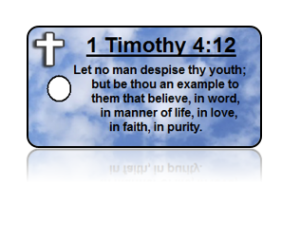 1 Timothy 4:12 (ASV) - Let no man despise thy youth; but be thou an example to them that believe, in word, in manner of life, in love, in faith, in purity. 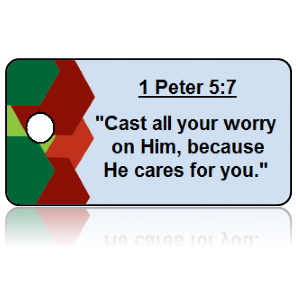 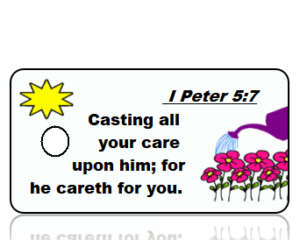 1 Peter 5:7 - Cast all your worry on Him, because He cares for you.